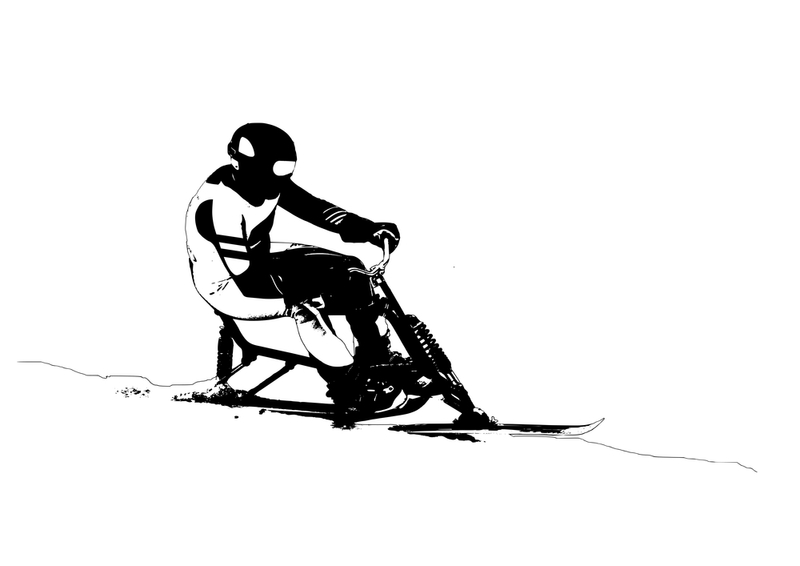 Knowing the history of skibiking is an important part of learning about the sport. The only way that you can truly appreciate it is when you know how it all began. It will allow you to understand how the skibike was formed and how it eventually evolved to become the great sport that it is today. Why don’t we start from the very beginning? 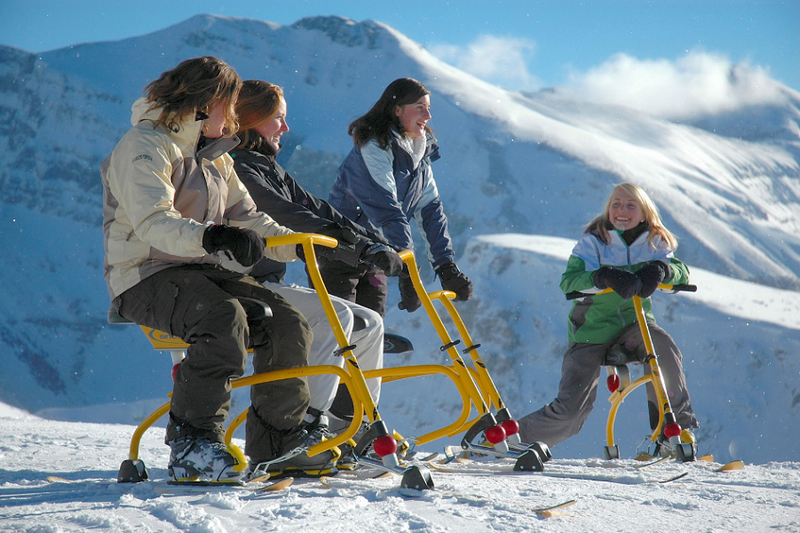 Also known as skibobs, these skibikes were intended to be used for transportation in the Alps. It was essentially a sledge that you can steer and has runners. In 1949, an Austrian ski manufacturer by the name of EngelbertBrenter got a patent for what he called the “Sit-Ski”. He took the original skibikes, removed the runners and replaced it with real skis. He added some suspension and added a pair of short skis that can be worn by the rider. This improved the performance of the skibike and allowed the rider to control the speed and make skidded turns. This allowed more people to use it since it is a lot easier to navigate. That is how it started to gain popularity and soon develop into the recreational sport that it is today. In 1950, a German engineer named Ernst Reiss-Schmidt patented a different design called the “Gfaellerei”. It has a hoop-frame bike. In 1952, the same engineer patented a hybrid that is powered by a rocket. The front ski was replaced by two that are parallel. He and his family became so involved in the sport that his son, Georg Jr served as President of the FISB (Federation Internationale de Skibob). According to the history of skibiking, he was the one who came up with the word “Skibob”. The very first international skibiking race happened in 1954. This was the event that solidified skibiking as a real sport. However, it was only in 1961 when the FISB was formed. This led to increasing popularity of the sport and the first World Championships in 1967 in Obertaun, Austria. It was the same year when the English formed the Skibob Association of Great Britain. As you can see, this sport continued to gain fame in the 1960s – specifically at the Crans-Montana resort in Switzerland. It soon became prominent in Davos, St. Moritz, and then Arosa. Soon, more areas in Europe started playing the sport. This popularity prompted resorts to specifically set aside slopes for skibike riders. There were also rentals available and even lifts that are able to accommodate the equipment. The sport was usually advertised as a safer alternative to skiing since it lessened the chances of getting a broken leg. The sport became popular in the British Isles and soon, in North America. When American William Cartwright saw the Europeans enjoying the sport in 1963 (during a family trip), he instantly fell in love with it. He worked on importing a few skibobs and in 1965, he formed the Skibob Club of Santa Rosa. They were not received well during the first few attempts. This led Cartwright to bring a Swiss skibob team to show the country what the sport is all about. It gained a lot of hype and even became the cover of Time magazine. In 1968, the Americans formed the ASBA or American Skibob Association in Colorado. They showed demonstrations at Arapahoe Basin and soon, competitions were held here. Today, the sport continues to thrive – specifically in Europe. In the US, it also has some loyal supporters. While there are resorts that still ban the sport, it is still gaining popularity and even a comeback in recent years. Now that you know the history of skibiking, you might find it to be a more enjoyable sport.